This PDF 1.6 document has been generated by Adobe InDesign CS5.5 (7.5) / Adobe PDF Library 9.9, and has been sent on pdf-archive.com on 18/12/2016 at 08:16, from IP address 120.140.x.x. The current document download page has been viewed 547 times. File size: 7.9 MB (84 pages). Harmonic, UltraCision and Harmonc Scalpel are tradmarks of Ethicon Endo-Surgery. Go to www.e-ifu.com for the latest version of this manual. 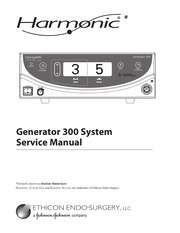 Introduction – Harmonic Generator 300 System . . . . . . . . . . . . . . . . . . . . . . . . . . . . . . . . . . . . . . . . . . Installation Guidelines . . . . . . . . . . . . . . . . . . . . . . . . . . . . . . . . . . . . . . . . . . . . . . . . . . . . . . . . . Product Information . . . . . . . . . . . . . . . . . . . . . . . . . . . . . . . . . . . . . . . . . . . . . . . . . . . . . . . . . . .
Controls, Indicators, and Connections . . . . . . . . . . . . . . . . . . . . . . . . . . . . . . . . . . . . . . . . . . . .
Screen Descriptions . . . . . . . . . . . . . . . . . . . . . . . . . . . . . . . . . . . . . . . . . . . . . . . . . . . . . . . . . . .
System Operation . . . . . . . . . . . . . . . . . . . . . . . . . . . . . . . . . . . . . . . . . . . . . . . . . . . . . . . . . . . .
System Shutdown . . . . . . . . . . . . . . . . . . . . . . . . . . . . . . . . . . . . . . . . . . . . . . . . . . . . . . . . . . . .
Chapter 6 –­ Cleaning and Disinfection . . . . . . . . . . . . . . . . . . . . . . . . . . . . . . . . . . . . . . . . . . . . . . . . . . . . . . Generator and Cart Cleaning . . . . . . . . . . . . . . . . . . . . . . . . . . . . . . . . . . . . . . . . . . . . . . . . . . . Foot Switch Cleaning . . . . . . . . . . . . . . . . . . . . . . . . . . . . . . . . . . . . . . . . . . . . . . . . . . . . . . . . . .
Disinfection (Generator, Footswitch and Cart) . . . . . . . . . . . . . . . . . . . . . . . . . . . . . . . . . . . . . .
Chapter 11 ­– Advanced Error Codes . . . . . . . . . . . . . . . . . . . . . . . . . . . . . . . . . . . . . . . . . . . . . . . . . .
Error Code Display . . . . . . . . . . . . . . . . . . . . . . . . . . . . . . . . . . . . . . . . . . . . . . . . . . . . . . . . . . .
Error Codes . . . . . . . . . . . . . . . . . . . . . . . . . . . . . . . . . . . . . . . . . . . . . . . . . . . . . . . . . . . . . . . . .
Software Version . . . . . . . . . . . . . . . . . . . . . . . . . . . . . . . . . . . . . . . . . . . . . . . . . . . . . . . . . . . . .
Estimating Hand Piece Usage . . . . . . . . . . . . . . . . . . . . . . . . . . . . . . . . . . . . . . . . . . . . . . . . . . . Generator Error Log Record . . . . . . . . . . . . . . . . . . . . . . . . . . . . . . . . . . . . . . . . . . . . . . . . . .
Hand Piece Error Log Record . . . . . . . . . . . . . . . . . . . . . . . . . . . . . . . . . . . . . . . . . . . . . . . . . .
Chapter 13 ­– Generator Calibration . . . . . . . . . . . . . . . . . . . . . . . . . . . . . . . . . . . . . . . . . . . . . . . . . . . Required Schedule . . . . . . . . . . . . . . . . . . . . . . . . . . . . . . . . . . . . . . . . . . . . . . . . . . . . . . . . . . . .
Calibration Procedures . . . . . . . . . . . . . . . . . . . . . . . . . . . . . . . . . . . . . . . . . . . . . . . . . . . . . . . .
Calibration One . . . . . . . . . . . . . . . . . . . . . . . . . . . . . . . . . . . . . . . . . . . . . . . . . . . . . . . . . .
Calibration Two . . . . . . . . . . . . . . . . . . . . . . . . . . . . . . . . . . . . . . . . . . . . . . . . . . . . . . . . . .
Chapter 16 ­– Service and Repair . . . . . . . . . . . . . . . . . . . . . . . . . . . . . . . . . . . . . . . . . . . . . . . . . . . . . . . . . . .
Repair Strategy . . . . . . . . . . . . . . . . . . . . . . . . . . . . . . . . . . . . . . . . . . . . . . . . . . . . . . . . . . . . . . . Available Resources . . . . . . . . . . . . . . . . . . . . . . . . . . . . . . . . . . . . . . . . . . . . . . . . . . . . . . . . . . .
Service and Repair Returns . . . . . . . . . . . . . . . . . . . . . . . . . . . . . . . . . . . . . . . . . . . . . . . . . . . . .
intended only as a guide for technical maintenance of the Harmonic® Generator 300 System. performed in accordance with the instructions in this and the Harmonic Generator 300 System User Manual. The inspection shall be documented along with any test results to demonstrate proper installation. be made available by request only. Customers outside the U.S. should contact their Ethicon Endo-Surgery representative for assistance. mechanical energy which enables hemostatic cutting and/or coagulation of soft tissue. equipment be read, understood, and followed in order to enhance safety and effectiveness. is not Magnetic Resonance compatible. ignite flammable gases such as bowel gas. conditions. Refer to Chapter 14 – System Specifications. maintenance personnel to ensure proper and safe operation. representatives are available to assist in having your equipment serviced. dangerous and should be treated with extreme caution. a potential electric shock hazard. After removing the cover, inspect the internal components for obvious damage or foreign debris. Never power ON a suspected problem unit. Never remove or install any parts with power on. to the generator and risk of shock or fire hazard. can only be achieved when this equipment is connected to a hospital-grade receptacle. avoid inadvertent penetration of liquids, do not operate this unit in a tilted position. Locate the Harmonic Generator 300 System, including the hand piece cable, at least 3 ft.
different outlets may not necessarily mean different circuits. freely through the generator enclosure. Avoid placing the generator on a soft surface. Use proper electrical safety and hospital procedures when working on the generator unit. The AC mains voltage presents a shock hazard and is accessible when the generator cover is removed. the power entry module, mains fuses, power switch, and open-frame 48V power supply. 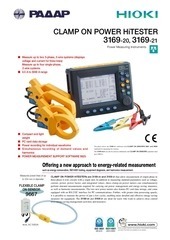 may introduce a high voltage from the hand piece to earth ground and produce a shock hazard. Refer to all other Harmonic System documentation to review operating procedures. Minimizing operating temperature and extreme thermal cycles will extend the life of the equipment. switching adaptor, a hand piece, and a variety of open and minimally invasive instruments. enhances its cutting ability. The same vibration seals small vessels with coagulated blood and tissue proteins. the tissue to vibrate and become denatured, forming a coagulum. Adaptor, Test Tip and Instruments prior to using the system. substitute for electrosurgery, lasers, and steel scalpels. The instruments are not indicated for incising bone. The instruments are not intended for contraceptive tubal occlusion. Power is delivered by activating the foot switch or hand switching adaptor. motion produced by the transducer and relays it to the instrument. enables hemostatic cutting and/or coagulation of tissue. applicable), tissue tension, tissue type, pathology, and surgical technique. Note: Refer to the instruments’ package inserts for additional power level information. This file has been shared by a user of PDF Archive. Document ID: 00523602.